WOMEN’S snooker has received another major boost with the signing of its biggest sponsorship deal for ten years. Eden Resources – a Singapore-based company that organises seminars, events and training – will back two tournaments on the World Ladies Billiards & Snooker Association circuit next season to the tune of £5,000. And that takes the total funding for 2013/14 to £8,400. The announcement came during the Wuxi Classic in China where nine-time world champion Reanne Evans made headlines around the world by becoming the first women to qualify for the final stages of a World Snooker Tour ranking event. Eden, which also promotes the pursuit of excellence in sport, currently sponsors Hannah Jones – the 16-year-old World Ladies Junior Champion, who guested on the Snooker Legends tour – and Belgium star Wendy Jans, the women’s European champion. Boss Chris Chuah explained that he was “personally inspired” by players like Mandy Fisher, Stacey Hillyard and Allison Fisher who “were as good as the men” during the golden age of the women’s game. “I hope that this humble sponsorship will go some way towards raising the profile of the ladies’ game and encourage more women players to take up the sport,” he said. “The reason why we are sponsoring WLBSA is to hopefully inspire other companies to do likewise for women’s snooker, which certainly deserves greater recognition and support. “Reanne’s entry into the Wuxi is a big step for ladies’ snooker and the timing of our sponsorship could not have been more opportune. 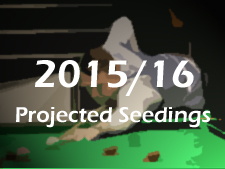 The WLBSA will run eight snooker ranking tournaments and a billiards event next season. Eden is sponsoring the Masters and the World Championships. The Northern Snooker Centre, Leeds, will host the World Championships next Easter and have promised £2,000 for each of the next three years. WLBSA founder and chairman, Mandy Fisher, said: “It’s wonderful news that Eden Resources have chosen to sponsor ladies’ snooker and that the Northern Snooker Centre have added substantial sponsorship to make the World Championships a fantastic event. WLBSA secretary and treasurer Vicky Carter said: “It’s great for ladies’ snooker that Eden Resources have offered us their support and backing. The World Professional Billiards and Snooker Association is keen to “build on the current momentum” and see more women compete on the pro-circuit. Its chairman, Jason Ferguson, explained: “We’re doing all we can to assist the resurgence of the women’s game. “Hopefully, initiatives like Ladies Day at the World Championship and the CueZone Into Schools programme will help get more women playing snooker and in years to come we could see them competing on the professional tour. September 8, 2013: British Open at Whitley Bay Snooker Centre (£300 sponsorship by the club). 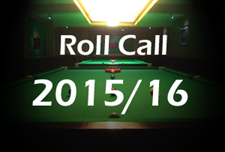 Date TBC: Billiards event at venue TBC (£500 anonymous sponsorship). October 5, 2013: Agnes Davies Memorial at Terry Griffiths Matchroom, Llanelli. November 2, 2013: UK Championship at North East Derbyshire Snooker Centre, Clay Cross (£300 sponsorship by the club). December 7-8, 2013: Eden Resources Masters at Cambridge Snooker Centre (£2,000 sponsorship). January 25, 2014: East Anglian Championship at Pot Black Club, Lowestoft. February 23, 2014: Southern Classic at Jesters Snooker Hall, Swindon. March 30, 2014: Connie Gough Memorial at Dunstable Snooker Club (£300 sponsorship from Julie Hemingway). April 18-22, 2014: Eden Resources World Championship at Northern Snooker Centre, Leeds (£5,000 sponsorship: £3,000 from Eden Resources and £2,000 from Northern Snooker Centre).